Houston created the first version of the file storage service Dropbox on a bus ride. Steve Jobs had invited them largely because he wanted to explore acquiring Houston’s fast-growing company, Dropbox. Founded in 2007, Dropbox conferred iPhone-like ease and reliability on cloud-based file storage—something Apple itself hadn’t yet begun offering. People using any browser or operating system, on any kind of device, could drag any kind of file to Dropbox’s icon of an open blue box. The files were stored on Dropbox’s servers and synched each time you saved a file, so that it would be available on any device running Dropbox. Houston and his team hammered out thousands of issues to create an easy system free of the typical annoyances. Dropbox knows that while Linux file names are case-sensitive, Windows file names aren’t, so a Windows file called “ABC.doc” will overwrite one called “abc.doc.” It can keep antivirus software from interfering with its file-synching system. It integrates smoothly with different user interfaces: on a Mac, for example, the Finder displays a check mark in the Dropbox icon when files are in sync. That’s how many times people are updating files with Dropbox every two days. And as consumers slide more stuff into their Dropbox folders, more blow past their free two-gigabyte limit and start paying $10 a month for additional storage. 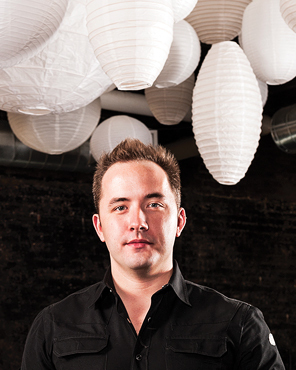 Dropbox says it now has more than 50 million users, with 4 percent paying. The other big technical challenge was how to make Dropbox work fast on any device. Users often store thousands of files, and tracking and synching every one of them could easily eat up memory and processor time. The first version of the service hogged two full gigabytes of memory, but Dropbox eventually whittled that down to a mere 100 megabytes. And to keep Dropbox from dropping the ball when operating systems are revised or upgraded on users’ PCs, the company created custom analysis tools that rapidly detect and resolve any software conflicts. Houston’s team is now working on advanced capabilities for synching and sharing photos, and gearing up for the demands that will be imposed on the software by continued rapid growth. “We’re designing a system that can connect billions of devices,” he says. The company has tripled its staff in the past year, to 150, and taken over a large office space in San Francisco. Back at that meeting at Apple in 2009, Houston told Jobs he wasn’t interested in selling, after which Apple went on to bring out its competing iCloud service. But it’s hard to argue that Houston was being shortsighted, given that private investors recently valued Dropbox at $4 billion.